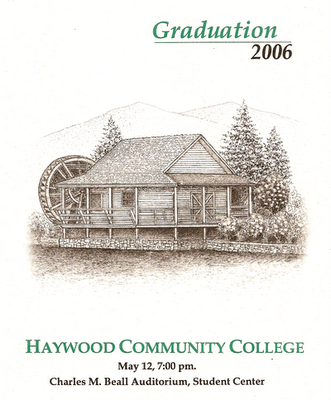 @ haywood community college: Graduation 2006 !!! 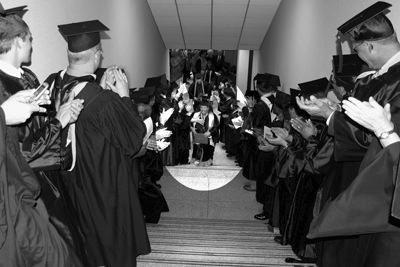 On Friday graduates, their families and friends, and faculty gathered for the graduation ceremony. 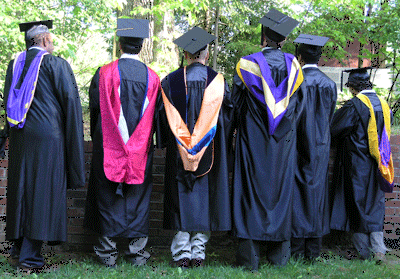 The Division of Natural Resources had approximately 50 graduates receiving degrees, many with honors. There was much to celebrate. 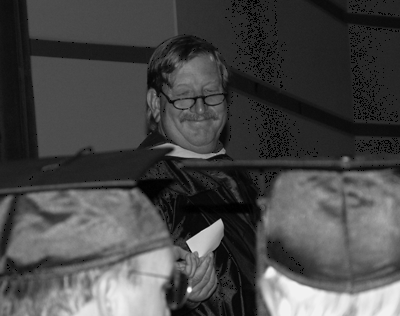 This is always a happy occassion as faculty enjoy celebrating the success of their students. W.C. waits to join the faculty procession. 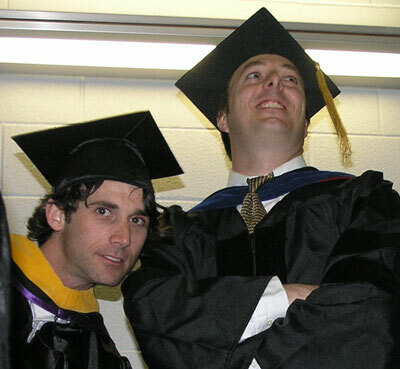 Pete and Jim wait in the stairwell to join the other faculty on stage. Doug proudly announces the names of the Division of Natural Resources graduates who then crossed the stage and received their degrees from President Johnson. In a great tradition, faculty line the stairwell outside the Beall Auditorium to congratulate the new graduates on their way to the reception. 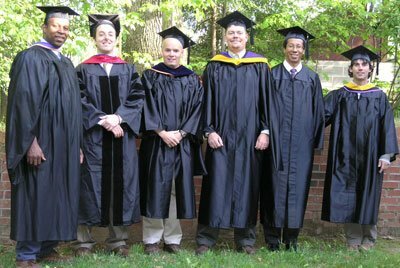 It doesn't matter how many times you participate in graduation ceremonies there is always the issue of exactly how to wear the academic regalia. Well working as a dysfunctional team we did it. Here is the front.